Diana is the former Director of Education for the Humane Society of the United States and now works for a local Animal Control shelter as a Humane Educator. It’s always frustrating when I run into people who think they’ve helped our shelter because they donated to the Humane Society of the United States (HSUS). Too many Americans believe that donations given to the Humane Society of the United States will ultimately end up at their local pet shelter. A recent national poll determined that 71 percent of Americans believe HSUS is an umbrella group for the nation’s local humane societies. In fact, just 1 percent of HSUS’s budget makes its way to local pet shelters. Judging by HSUS’s fundraising materials, this false perception is understandable. HSUS raises more than $100 million each year with letters and television commercials featuring pictures of homeless cats and dogs. I’m not alone in my frustrations with HSUS. In fact, that’s part of the reason I quit working there. 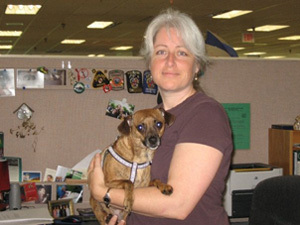 As HSUS’s Director of Education, I worked with and trained hundreds of shelter professionals around the country. It wasn’t uncommon for them to say they were frustrated with HSUS. Although HSUS provided a variety of resources to shelters, they said it also undermined their fundraising abilities. This is not to say the Humane Society of the United States doesn’t help shelters—it does, often for a fee. HSUS publishes Animal Sheltering Magazine, which is not free for shelters. Shelters can pay HSUS for staff training. Also for a hefty fee, HSUS will send a consultant to evaluate a shelter and deliver a report detailing areas for improvement. The fee does not cover implementing the improvements—the shelter is typically left to bear the burden of that cost. Shelters can always buy HSUS’s vegetarian pet food. It would come in handy if there were dogs or cats coming in requesting a vegetarian diet. In other words, there’s very little that HSUS does to help shelters that comes without a cost.